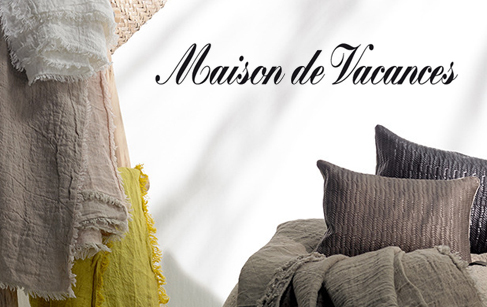 Maison de Vacances is a completely independent French company created in 1995. The company is managed by Emmanuelle Fouks and Nicolas Mauriac, former fashion designers and art directors, which easily explains how deep their involvement is in the evolution of fashion trends and lifestyles. “Dress up your interiors as you wanna be dressed up” is their motto.